The majority of Karsh's portraits are in portrait format, but I wanted to find some landscapes to take advantage of the full screen magazine. 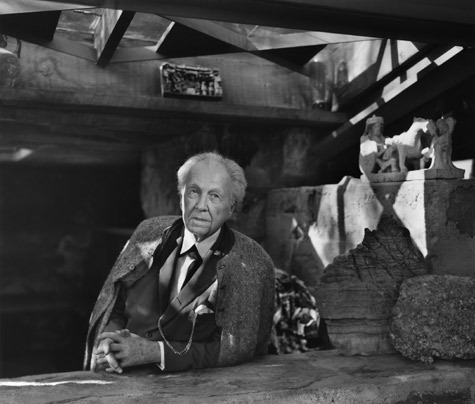 Here you see Jean-Paul Riopelle, Max Ernst, Ravi Shankar, Helen Keller and Polly Thompson, Marc Chagall, Pablo Picasso, Bertrand Russell, and Frank Lloyd Wright. Each is photographed in Karsh's signature style in a recognizable environment, except for Lord Russell, who is beautifully framed in silhouette lighting his pipe with a match. There is plenty more to enjoy on Karsh's official website. Don't miss the videos, in particular the recreation of the world famous Churchill "Roaring Lion" photograph.